Again News from Mea Culpa! 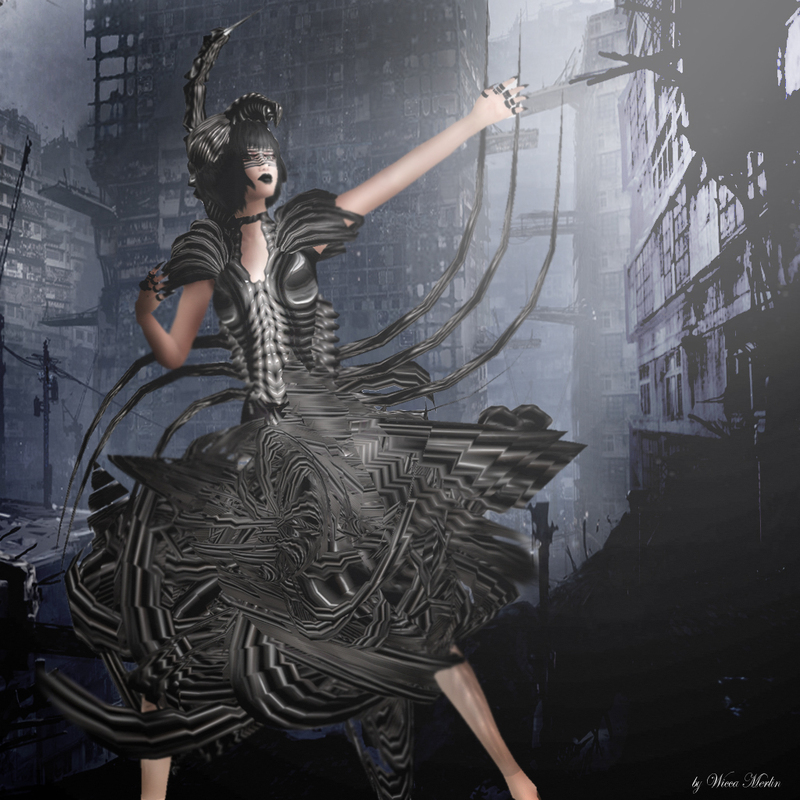 Unbelievable but true… the store is not long open and again Mea Culpa released new incredible outfits! The “Kiss of the scorpion” in a very egocentric and extraordinary outfit with many gorgeous attachments and details. 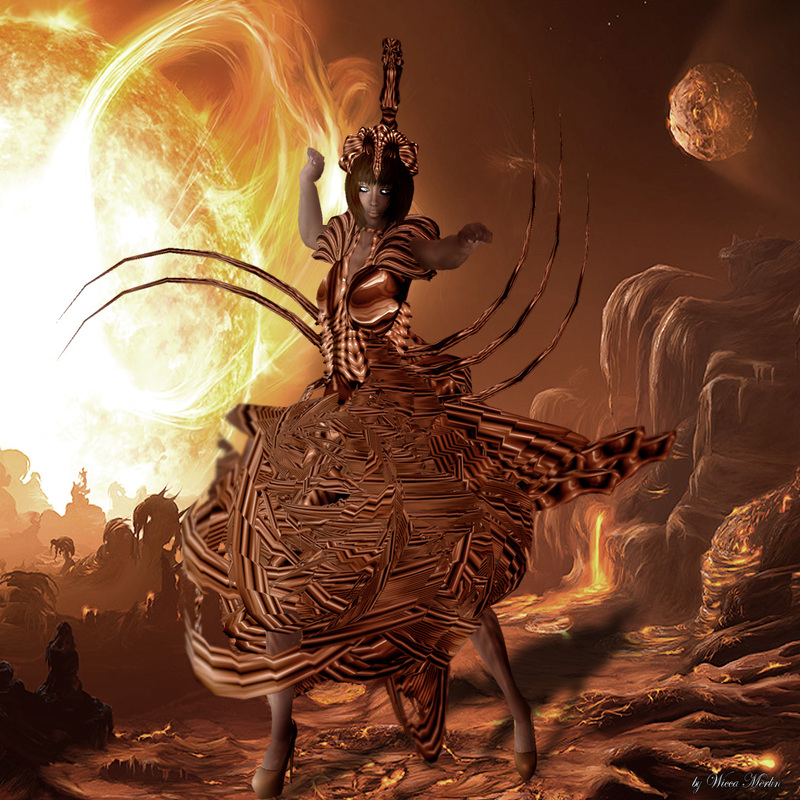 A big twisted wild skirt covers the lower body and carries a strong scorpion tail. The top looks like kinda corset that carries 6 amazing tentacles. The big head part gives the perfect imagination of a rising sun. All attachments are made perfect flexi and wave around your body with every movement. Haute Couture pur! You will be definitely be the center of view with this magnificant design! My last outfit for this blog is called “Style Disaster” and is available in white and purple (to be seen in the very first pic of this post). This outfit is a combination of all forms and shapes 😉 A wonderful mix-up 😉 The skirt is very tight long and decorated by amazing ruffles at the sides. The left right side also carries long and sharp glass parts. The glass look is repeated on the upper arm attachments. The top is opened in the font and allowed a peek on the skin 😉 The shoulder and chest are covered by a wonderful smooth and round swirled ruffle that has an edgy part up high, this also carries one of the “glass pins” Again we have a wonderful head part that doesn’t need any hair in my opinion 😉 This head part also caries a sweet glass part that covers the left eye wonderful and gives you a mystical touch. 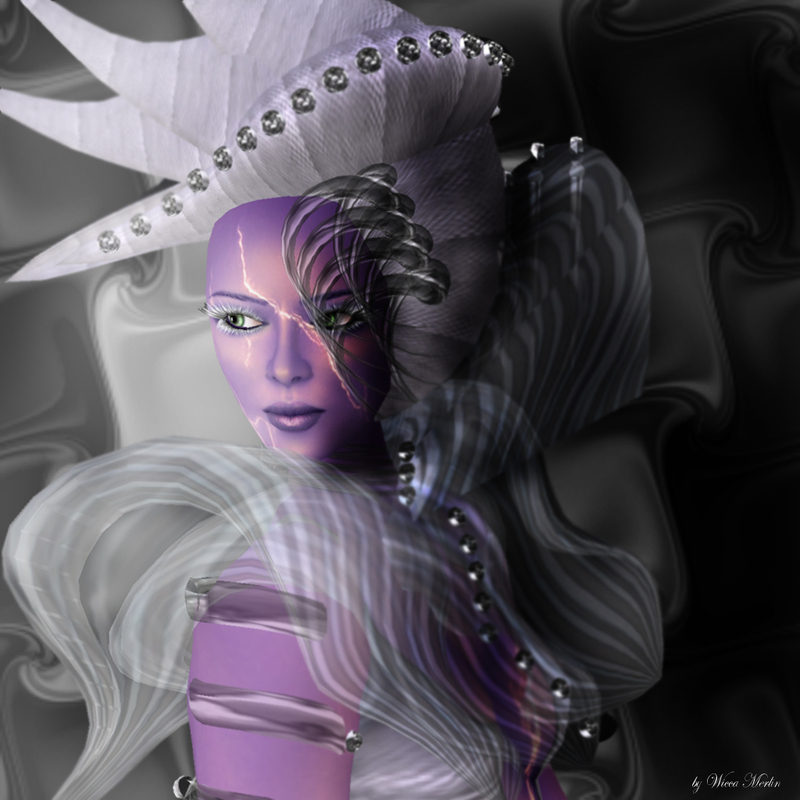 “Electric Temptation” and “Lava Love” and a 10% discount voucher are the gift for all that add Mea Culpa to the pic section of the profile 🙂 Both dresses are made with animated textures on the attached prims. 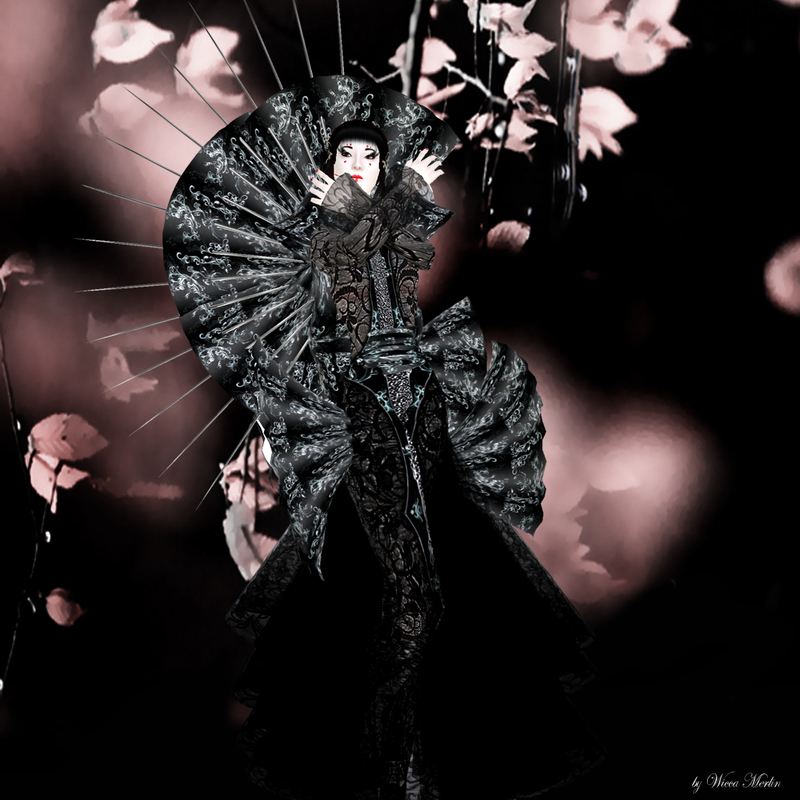 This entry was posted in Fashion, New Releases and tagged animated texture, Arisia Ashmoot, asian, Avantgarde, Black, Body Talking, copper, Daffodil Crimson, Fashion, free, Free gift, Gift, Glass, Glitterati, Glitterati Poses, glow, Haute Couture, High Fashion, Mea Culpa, Model, purple, Ruffles, scorpion, shine, spikes, Style, sun, tail, tentactles, white, Wicca Merlin. Bookmark the permalink.